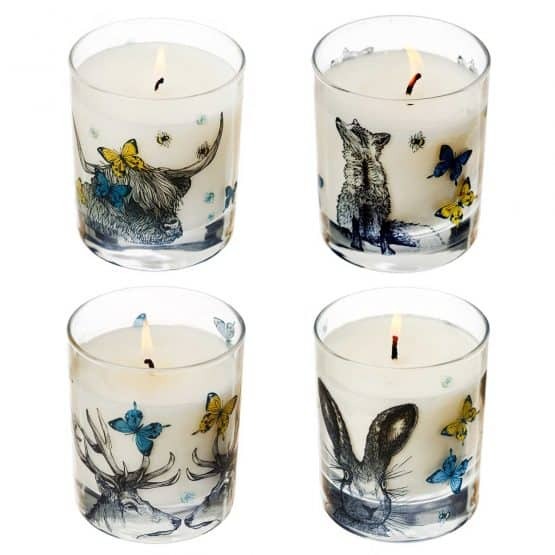 A set of 4 luxury, scented soy wax candles. 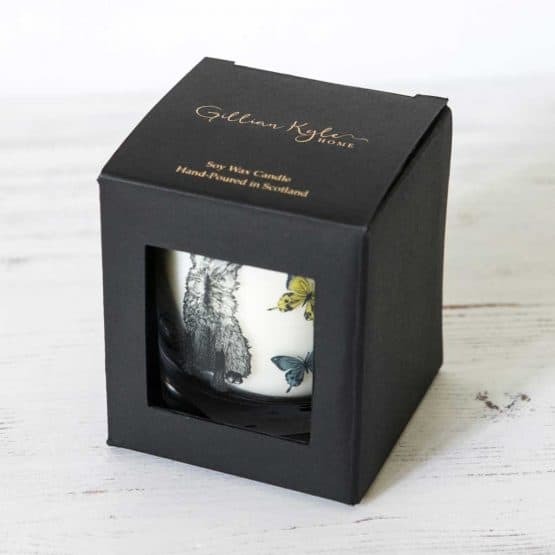 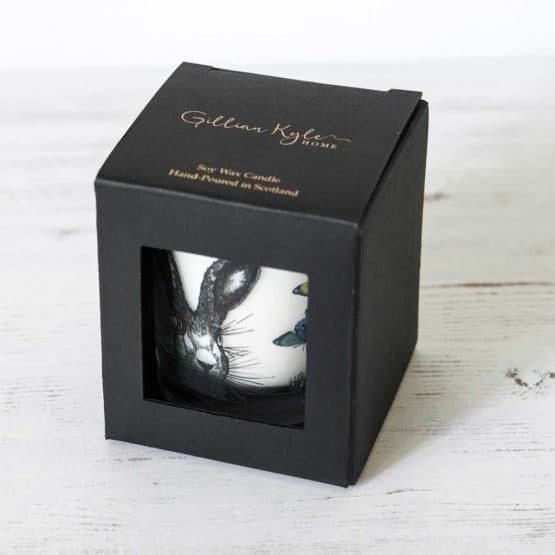 In stylish black presentation boxes, these candles are designed and made in Scotland by Gillian Kyle. 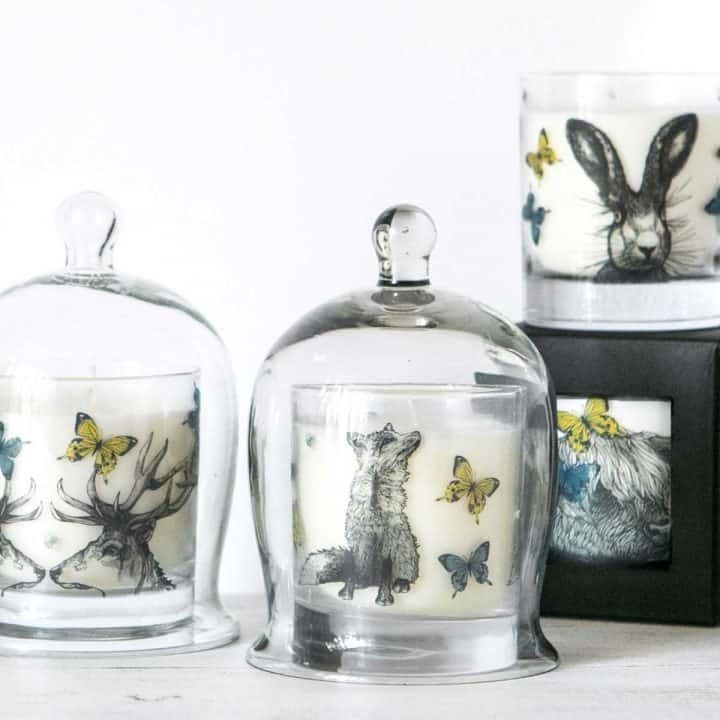 Perfect for your home. 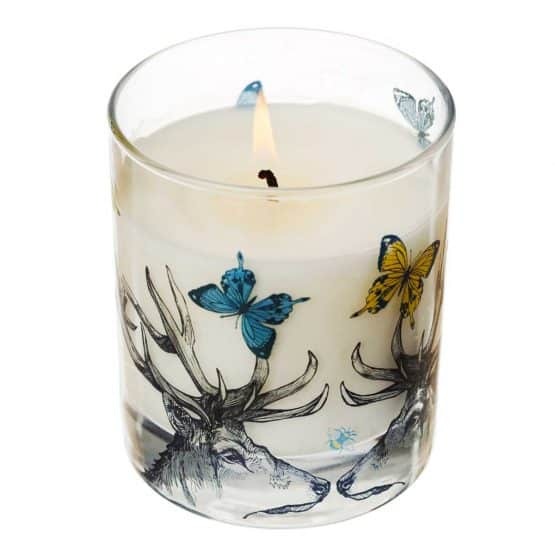 This stylish collection offers a luxurious 20% saving compared to buying the candles individually. 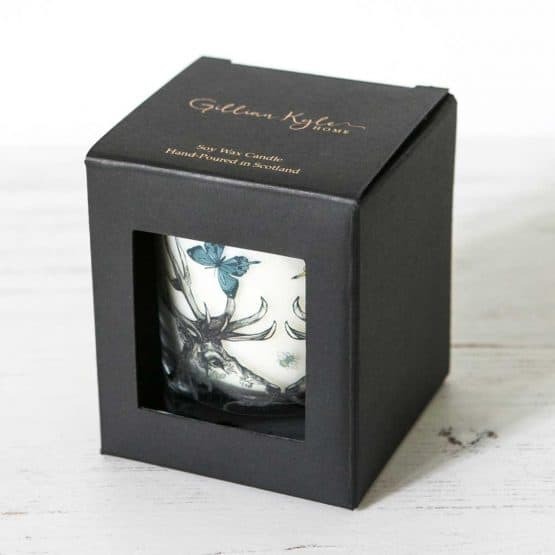 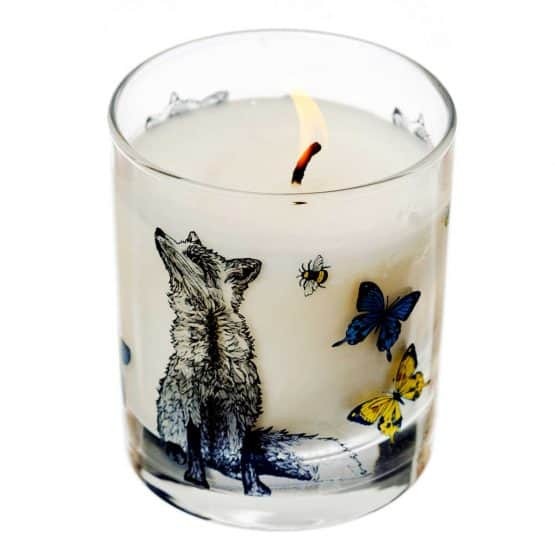 Adorned with Gillian’s original Scottish wildlife illustrations of a stag, hare, highland cow and fox, the candles have an elegant floral fragrance with notes of vanilla, musk, and amber Absolutely beautiful and totally unique! 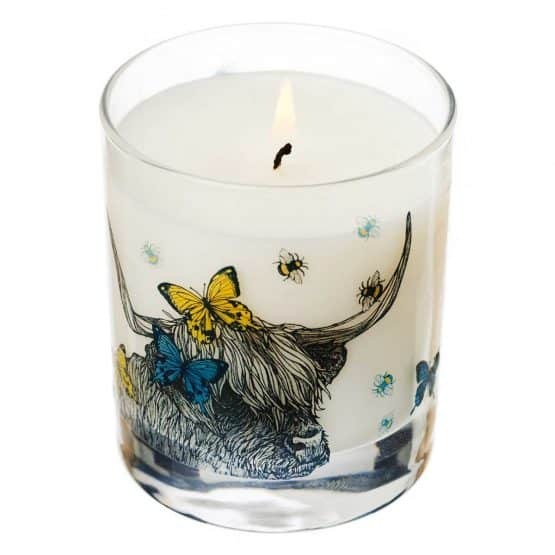 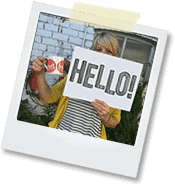 Why not check out the rest of our candles here. 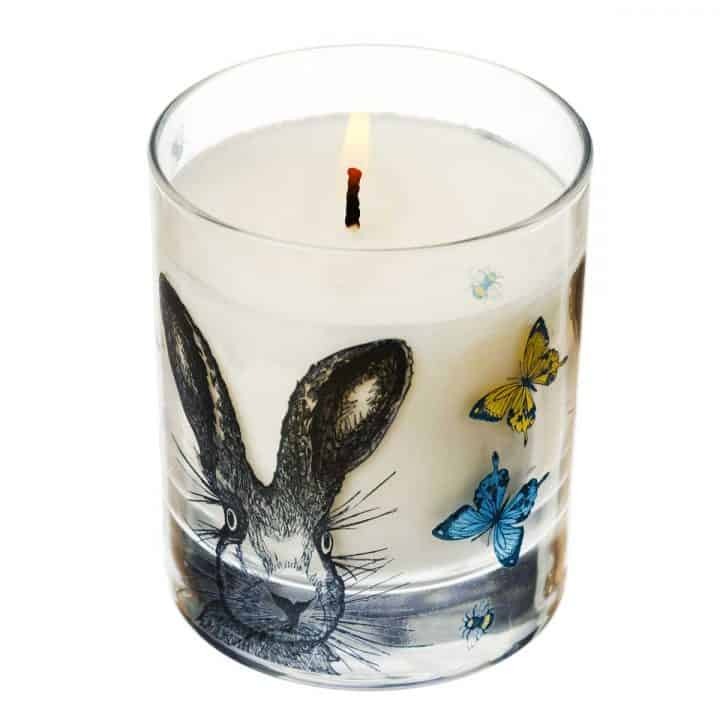 100% Soy Wax candles in a glass vessel, scented with Pink Pepper fragrance – an oriental floral with orange blossom, ylang, rose and pink pepper on a base of vanilla, musk, and amber. It’s lovely!